Abdulahi Olatoyan has been described by Yahoo! 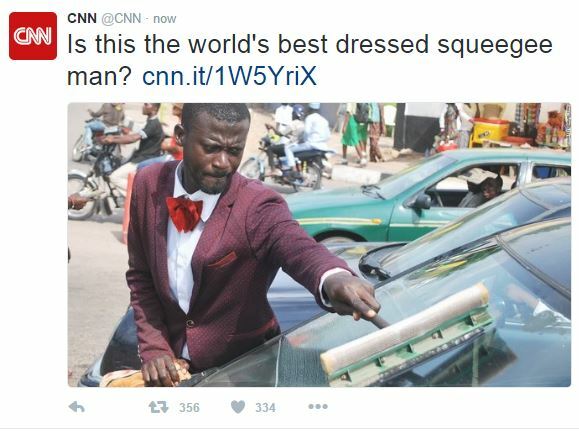 News As “Social Media’s Latest Success Story” and CNN as a “Dapper Wind Screen Washer” since a photo of him cleaning windscreens in a suit went viral a few days ago. 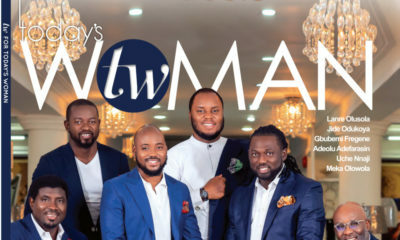 When asked why he made that choice, Abdulahi said “I didn’t want to be wandering the streets doing nothing”, adding he wanted to make sure people knew he was serious about his work. “He is the first suited windscreen cleaner I have ever seen”, says photographer Daniel Sync, who took the photos that went viral. “We need more innovative citizens like Abdulahi in Nigeria”, he added. According to Daniel, he spotted Abdulahi on his way to work in Abeokuta, Ogun State and rushed to the office to pick up his camera. Now the first of many opportunities have opened up for Abdulahi and he has been offered a job at Nigerian clothing line OUCH. 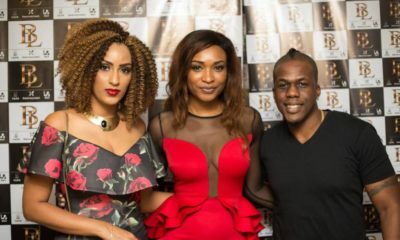 When the label’s designer Uche Nnaji saw the photos, he posted on Instagram that Olatoyan could come work at his company, and even went as far as listing seven reasons why Abdulahi deserves the job. He then asked his followers to help track down the elegant squeegee man and track him they did. Olatoyan has now been offered a position as ‘style doctor’ at the menswear brand. 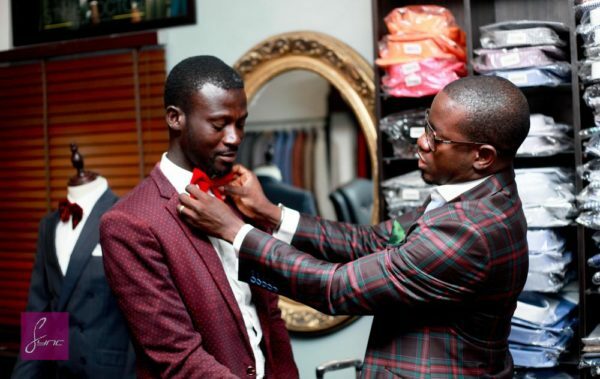 “I have a team of young people that I call style doctors,” says Nnaji, “when I saw him I thought this person is someone that likes looking good and can style others. 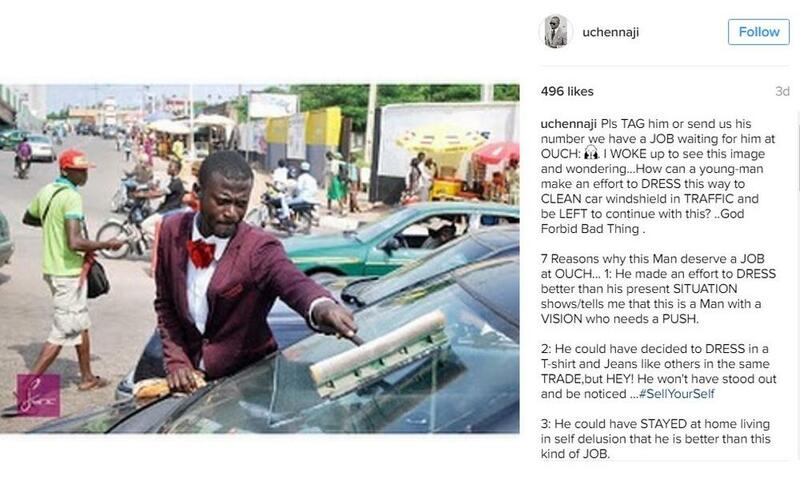 I saw attitude in him and thought if this man is doing this just to go and wash cars, he is someone that will work with a different mindset even if he’s doing the least popular job in the company” he added. 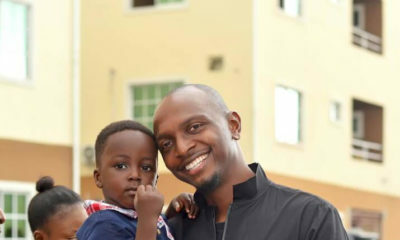 Uche I see you,with great Nigerian like you there’s hope for our country,not minding the name . The great provider will enlarge your coast the more.The God of abundance will continue to enrich your purse,thank you. Amen & God bless the photographer as well. Like someone said, another Olajumoke in the making. God bless y’all ? Thank you ATL. God did not let me rest until i published the photos of Abudulahi that went viral. We should always listen to our inner spirit. Good work, but I think it would have been better to send him back to university since he said he dropped out after the death of his father, the fact that he dresses well doesn’t mean fashion is a passion for him considering that he was a science student. You are right! Abudulahi must to back to school. That is the plan. Nothing will change that! Very happy for him! His diligence is paying off. Seest thou a man diligent in his job, for he shall stand before Kings and not mean men. Indeed there is dignity in labour. Sorrow and hard tales may come in the night but surely with Gods grace, joy would come in the morning. I hope this is the start of good things for this man. This made me teary-eyed! May God continue to bless his hustle! wow so Inspiring! i had goose bumps reading this. Just like Jumoke, God has picked his call at HIS PLACE OF WORK.it pays to be diligent and focused. This is something that he never thought was possible but now, his story has changed. Who says God can’t lift a man from dust.? Awesome. Ouch God bless u for giving that extra touch to the story. Inspiring. This is what people should emulate. you dont have to work in a bank or oil company to be successful. Whatever you do, do with confidence and pride it above anything. Welldone bro. this is just the beginning.